Kids' Book Review is delighted to welcome best-selling rural fiction author Fleur McDonald who is celebrating the launch of her picture book Noisy Nights, illustrated by Annie White and published by New Frontier Publishing. I didn’t realise there would be a difference between writing for adults and writing for children. But there seriously is. When I started writing Noisy Nights, I had a goal in mind. That was to try and help my son with his attention span. Hayden, at eighteen months, was ‘at high risk of autism’ and his concentration ability was very poor. I had started writing my first Rural Lit book, when I was tinkering around the edges of writing children’s books. As much as I read the passages of Red Dust out loud, to make sure everything flowed well, I had to do it a lot more when I was writing Noisy Nights. Serenading the stock on the farm had never been a high priority to me, but as I was writing, I found the need to get the rhythm and pacing right, which meant I had to read it out loud. I’d stand talking to myself and the animals out in the paddock. ‘The cows moo-ed and the sheep maa-ed,’ I’d chant, as I beeped the horn encouraging them towards the gate. Hayden would cackle out loud and repeat what I had just said and Rochelle would laugh. That was how I knew I was hitting the mark. I practiced Noisy Nights on any child that cared to listen! Or animal. But seriously, I think getting the rhyming perfect for these books is so important. Kids seem to love repetition– obviously it’s great for their learning, after all we learn by reiteration, don’t we? But in commercial fiction, repetition is frowned upon and a sign of shoddy editing! Getting inside a four-year-old’s head and having an understanding of what will be fun and attractive to them, is very different too! After all, I’m thirty-eight years older than them – it’s a long time ago that I played in the mud and found the world a constant state of wonder. When I’m writing Rural Fiction, I tend to write stories I would like to read, so again, I find that easier. I know my own mind and what I like. Noisy Nights was written when Hayden was four - he’s now fifteen. Back then; I could see what excited him, what he loved and how he reacted to things. One of his favourite books was Slinky Malinki by Linley Dodd. I could tell that rhyme, rhythm and pace was what he loved, not just the words, so that was what I focused on when I tried writing a story. Now I get ideas from young nieces and nephews. They remind me that being young is so much more beautiful. Their inquiring minds, questions and unconditional love inspire and remind me what’s important to young children. What they love will be the children’s stories I write next. 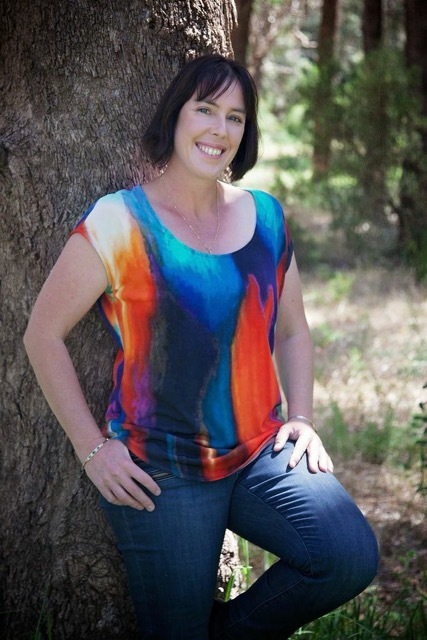 Fleur McDonald is well known as one of Australia's leading rural literature authors. 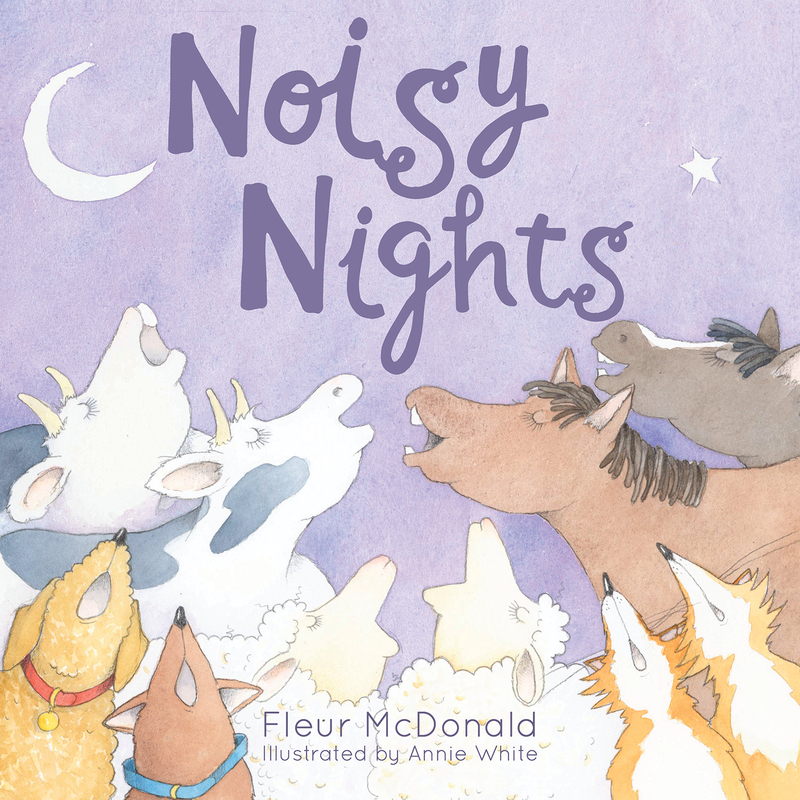 She has now brought a rural setting to a story for a younger audience with her picture book Noisy Nights, illustrated by Annie White (New Frontier Publishing). Visit Fleur McDonald's website and Facebook page for more information about her books and author events. 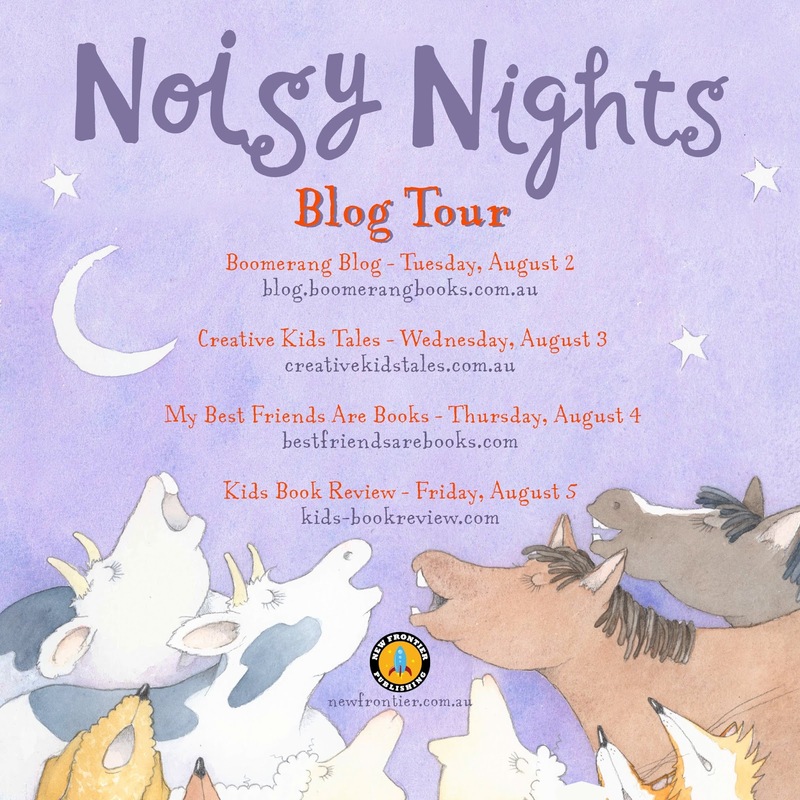 Check out the websites listed below for more stops on Fleur's Noisy Nights Blog Tour.